A round of support hero changes are coming to Overwatch, with nerfs for Mercy and buffs for nearly everyone else. 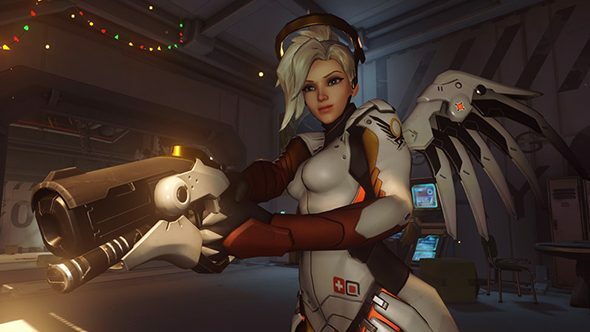 Blizzard says it wants make sure Mercy’s not quite the overwhelming favourite that she’s become, and is reworking support balance to make sure that’s the case. Conquer every meta with the best multiplayer games on PC. To help raise the game of other healers, Ana’s Nano Boost will now heal the target instantly for 300 HP in addition to the usual attack buff and damage reduction. The changes are intended to make her ult more versatile, making it useful as a save for a dying teammate or combined with other healing abilities to refill even the biggest health pool. Lucio’s also getting major buffs, with Sound Barrier’s effect increasing from 500 to 750 shields, and Crossfade’s aura increasing from 10m to 12m. That makes it a little easier to keep the whole team buffed, and the ult changes mean he can now negate even the massive damage of abilities like Junkrat’s RIP-Tire. Moira gets a much more subtle buff, increasing her healing resource regen by 20%. Blizzard feels Zenyatta is “in a pretty good spot,” so no changes there. Brigitte is the only other support getting a nerf, with a one second increase to Shield Bash cooldown. That’s intended to slow down her win rate slightly – she’s currently the winningest support in the game – without taking down the feel of her tank-support hybrid play. Other big changes for live Overwatch are on the way, with Wrecking Ball scheduled to hit live servers on July 24.